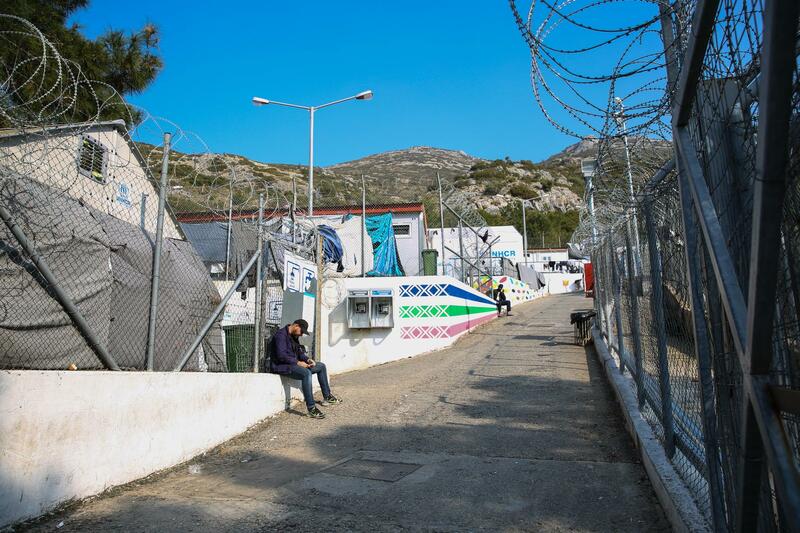 One year after the EU-Turkey Deal, Médecins Sans Frontières (MSF) released today a report to expose the human costs of European policy failures in Greece and the Balkans. MSF calls on the EU and member state leaders to radically change their approach to migration and ensure a swift end to the unnecessary suffering of the thousands caught in the consequences of the EU-Turkey deal. The European Council stated that the deal, which rewards Turkey for “stemming the flow” of migrants and refugees and accepting those forcibly returned from Greek shores, would offer “migrants an alternative to putting their lives at risk”. "They are losing any hope that they will find a safer, better future than the one they fled." One year after, men, women and children are trapped in unsafe zones outside of Europe unable to flee, forced to use even more dangerous smuggling routes to reach Europe or are trapped in overcrowded “hotspots” on the Greek islands. “The deal is having a direct impact on the health of our patients, and many are becoming more vulnerable,” says Jayne Grimes, MSF Psychologist in Samos. “These people have fled extreme violence, torture and war and survived extremely dangerous journeys. Today, their anxiety and depression is aggravated by the lack of information on their legal status and their poor living conditions. According to the report One Year on From the EU-Turkey Deal: Challenging the EU’s Alternative Facts, the MSF psychologists in Lesvos saw a two-and-a-half-fold increase in the percentage of patients with symptoms of anxiety and depression, and a threefold increase in the percentage of patients with Post Traumatic Stress Disorder. My name is Samira, and I am a 50-year-old Palestinian-Syrian woman from Yarmouk camp near Damascus. 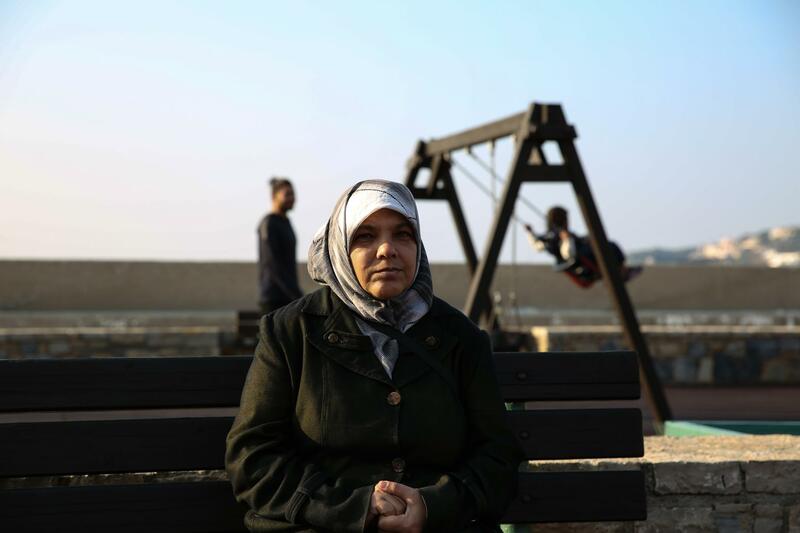 I am married with four children, but our family has been separated by the war. I have a son and daughter in Sweden, another son in Germany, while my husband and my other daughter live in Damascus. It didn't have to be this way, we were all supposed to be together. For the past four months I have been stuck all alone on Samos island. I don't know how much longer I will be here, all I want is to be allowed to move on and to join my son in Germany. I really don't want much from this world, I just want to be free again one day. My family fled Palestine in 1948 to Lebanon. I was born in a refugee camp in Beirut where I grow up poor. I was then forced to flee in 1982 because of the war in in Lebanon. I escaped to Yarmouk refugee camp and I got married there. Life was good until the war erupted and Yarmouk came under siege. We almost died of hunger and a lack of health care. We survived on prickly pear cactus and grass. We boiled spices to make a semblance of soup. I saw people die from hunger. Their bodies were just skin and bones by the time they were buried. I fled Yarmouk by myself five months ago. I took a very dangerous trip to Qamishli in northern Syria. I tried four times to cross the border between Syria and Turkey illegally. Palestinian Syrians are not allowed to cross the border into Turkey without a visa on a valid passport -- and for most of us, this is simply impossible to obtain. Turkish police officers shot at us at the border. I was very frightened. The smuggler eventually told me it was too dangerous so I went to Iraq, then Kurdistan and crossed over into Turkey from there. Even there, it wasn't easy -- I had to wait two or three weeks until I got smuggled into the country. Once I was in Turkey, it took me five days to reach Izmir. After five attempts, I climbed into an inflatable boat at midnight and reached Samos hours later after evading the Turkish coast guard. I thought I would die out there at sea. The boat got punctured and we all struggled to keep it afloat. It was very hard, and very frightening. I arrived on Samos on October 10. Since then I have been living in a tent by myself, without any guidance or support. I don't know when my children, my husband and I will ever be together again. Things keep getting delayed. I don't know why people are being kept from reaching their destinations. Death has chased me all my life, from Lebanon to Yarmouk to the boat in the sea. Now I am here in Samos, I feel I am dead inside. I come here to walk on the beach. I don't feel anything. I spend my days here in Samos like a machine, running on battery, without any objective. I cry every day in my tent but no one hears me. I don't know when this tragedy will end. My life has been a string of tragedies that never seem to end. Symptoms of psychosis also increased, all of which coincides with our teams seeing more patients with severe trauma, and more cases of self-harm and suicide attempts. Through the nearly 300 mental health consultations MSF teams in Samos have conducted, they have seen a similar deterioration and an escalation in self-harm and suicide attempts in recent months. Along the Balkan route in Serbia and Hungary, MSF teams have seen an increase in patients reporting trauma linked to the violence they experience since the closure of the Balkan route a few days before the EU-Turkey deal. “European leaders continue to believe that by building fences and punishing those who still try to cross them, they will deter others from fleeing for their lives,” says Aurelie Ponthieu, MSF Humanitarian Adviser on Displacement. “Every day we treat the wounds, both physical and psychological, inflicted by these deterrence policies. "Such measures have proven to be not only inhumane and unacceptable, but also completely ineffective,” concludes Ponthieu. MSF, who decided to suspend the funds from the EU and Member States in opposition to the EU-Turkey deal, reiterates that full respect of the right to seek asylum, opening of safe and legal alternatives for people to move such as resettlement, relocation, humanitarian visas, and family reunification, as well as work and study visas are the only humane solution to end death and suffering at Europe’s borders, on both land and sea. MSF has been providing medical and humanitarian assistance to asylum seekers and migrants in Greece since 1996. In 2015, we launched an emergency response when thousands of people began to arrive each day on the Greek islands from Turkey with the aim of crossing the Balkans to reach northern Europe. MSF teams currently work in more than 20 locations across Greece, focusing mainly on mental healthcare, sexual and reproductive healthcare and treatment for patients with chronic diseases. In 2016, MSF medical teams in Greece carried out 72,740 health consultations, including: 8,207 mental health consultations, 3,195 sexual and reproductive health consultations, 61,338 medical consultations, covering primary healthcare, physiotherapy, treatment for chronic diseases and more. MSF has worked in Serbia since late 2014, providing medical care and mental healthcare, and setting up shelters and water and sanitation facilities at the locations where people enter and leave the country, as well as in the capital, Belgrade. Since early 2016, our teams have been running a clinic and mobile clinic in Belgrade where they provide general healthcare and mental healthcare. Throughout 2016, MSF teams distributed essential relief items and lobbied for vulnerable people stranded in Serbia to have greater access to healthcare and adequate shelter and protection.